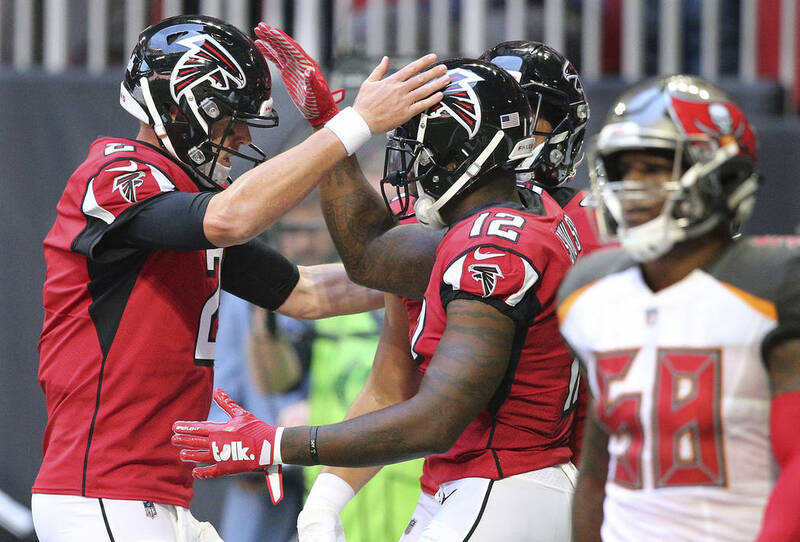 The Falcons creeped back up to 4½-point favorites over the Giants on Monday afternoon at several Las Vegas sports books as money started to come in on the home favorite. The Falcons opened as 6-point favorites over the Giants in their “Monday Night Football” matchup before action on the underdog caused the number to drop to 4. But the line creeped back up to 4½ on Monday afternoon at several Las Vegas sports books as money started to come in on Atlanta, the home favorite. Sunset Station sports book director Chuck Esposito expected a similar scenario. “My guess is we’ll probably need the Giants a little bit at kickoff,” he said. The total ranges from 51½ to 53. “The early action has been on the under,” Esposito said. Five of the last six NFL primetime games have gone over, with the Chiefs’ 45-10 win over the Bengals on Sunday night staying under the week’s highest total of 56½. The over is 4-0 in Atlanta’s home games this season at Mercedes-Benz Stadium. 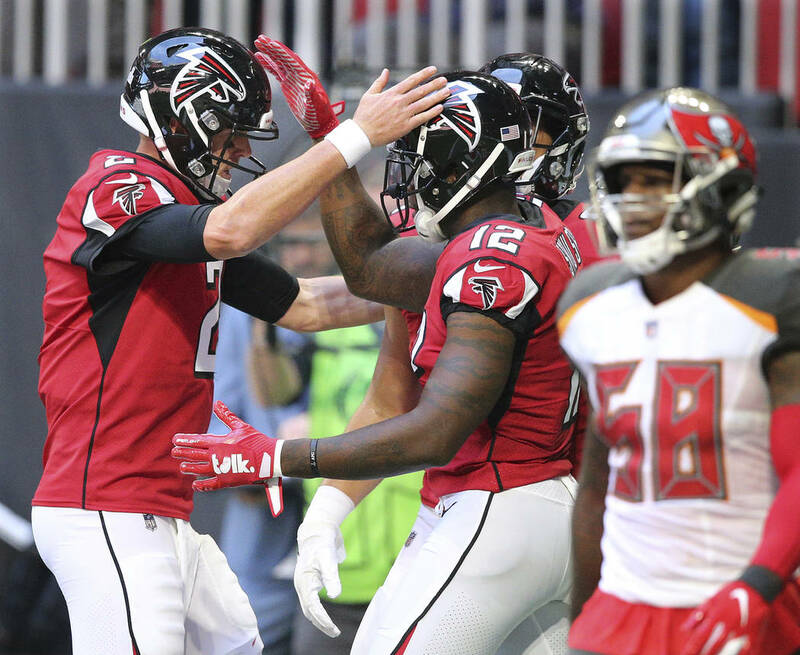 The Falcons are coming off a 34-29 win and cover over the Buccaneers that went over the high total of 57. Atlanta has scored at least 31 points in all four home games this season while New York has given up at least 33 points in each of its last three games, all losses. The Giants are coming off a 34-13 beatdown at home by the Eagles after losing 33-31 at Carolina on a last-second 63-yard field goal. Both teams are 2-4 ATS. At CG Technology, 74 percent of the tickets are on Atlanta and 52 percent of the money is on New York. At William Hill sports book, 74 percent of the tickets and 73 percent of the money are on the Falcons. Contact reporter Todd Dewey at tdewey@reviewjournal.com. Follow @tdewey33 on Twitter.